There was Animal Jam on the computer together. Then more lego Hero Factory play. 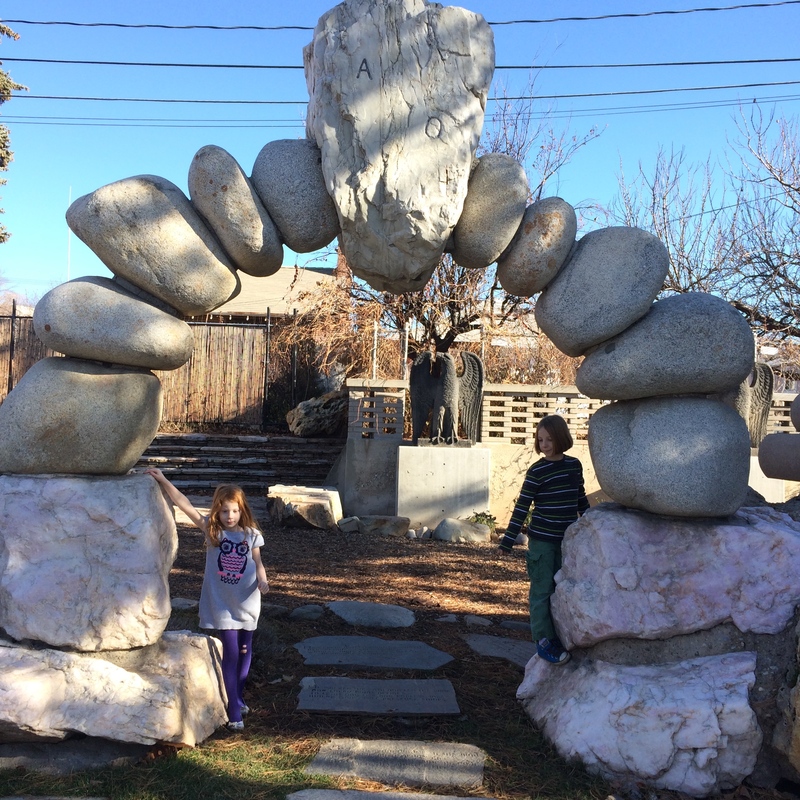 We visited Gilgal Gardens, a local historic outdoor sculpture garden depicting LDS founders. 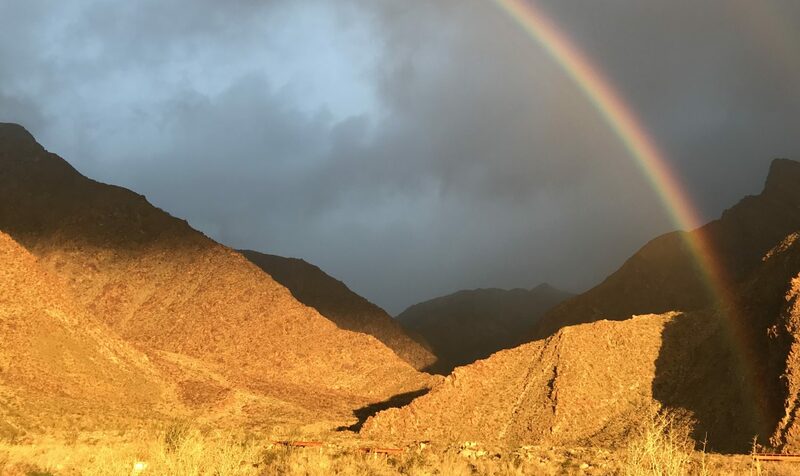 It’s quite strange and marvelous. I captured some portals in Ingress while we explored. 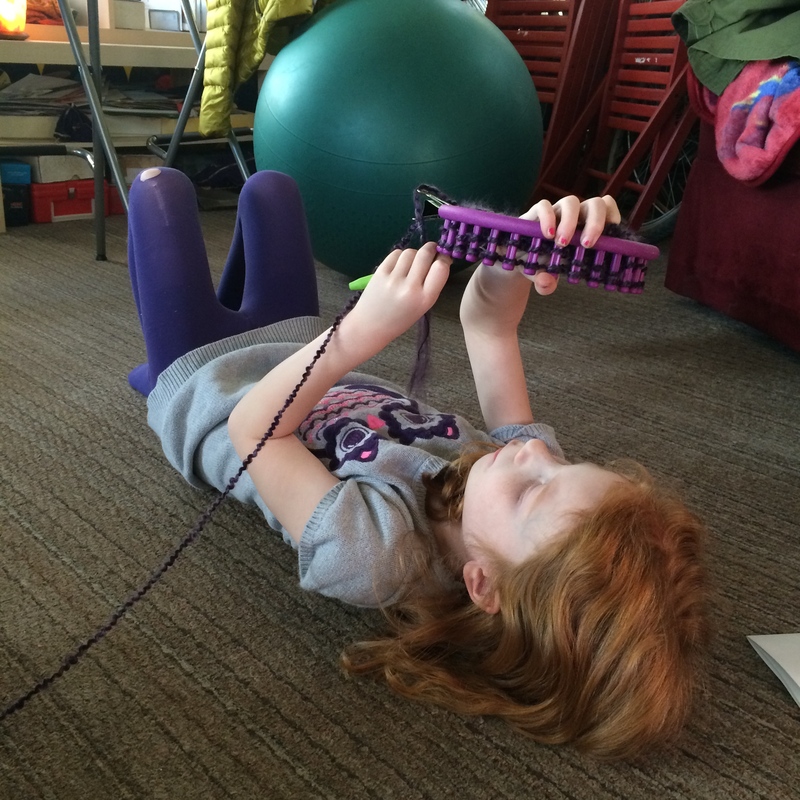 Once we got home Gavin and I baked snickerdoodles which he’s been asking about for days while Lilah finally got started on knitting on her circular knitting loom which she’s been wanting to do for months and months. She needed quite a bit of help to begin and support along the way while dealing with accidents and whatnot but she spent at least an hour straight working on it and has an inch or so of a lovely purple hat to show for it. 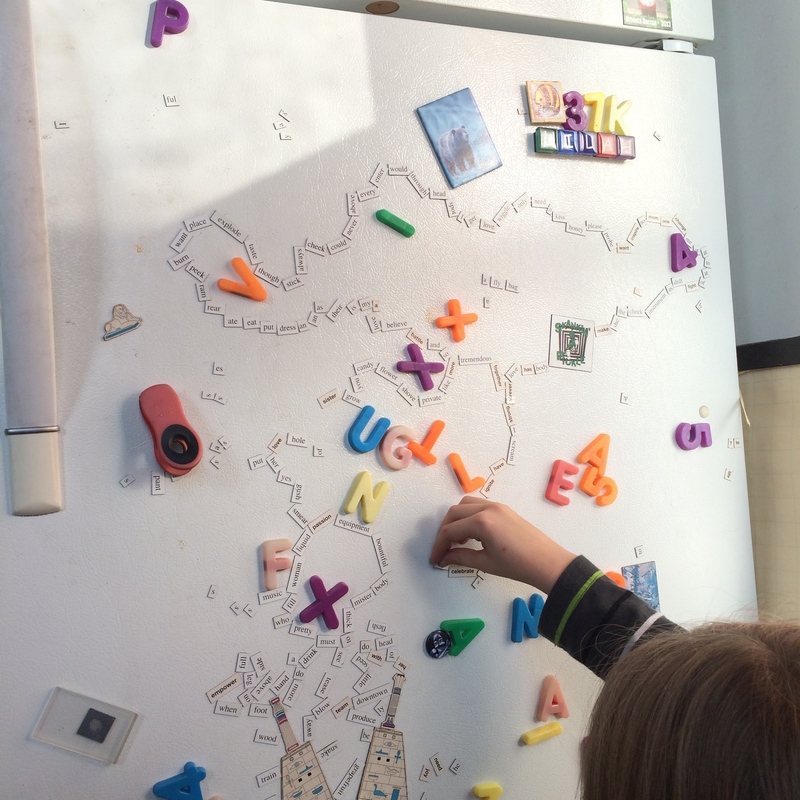 Gavin arranged the word and letter magnets on the fridge in a visual poem. 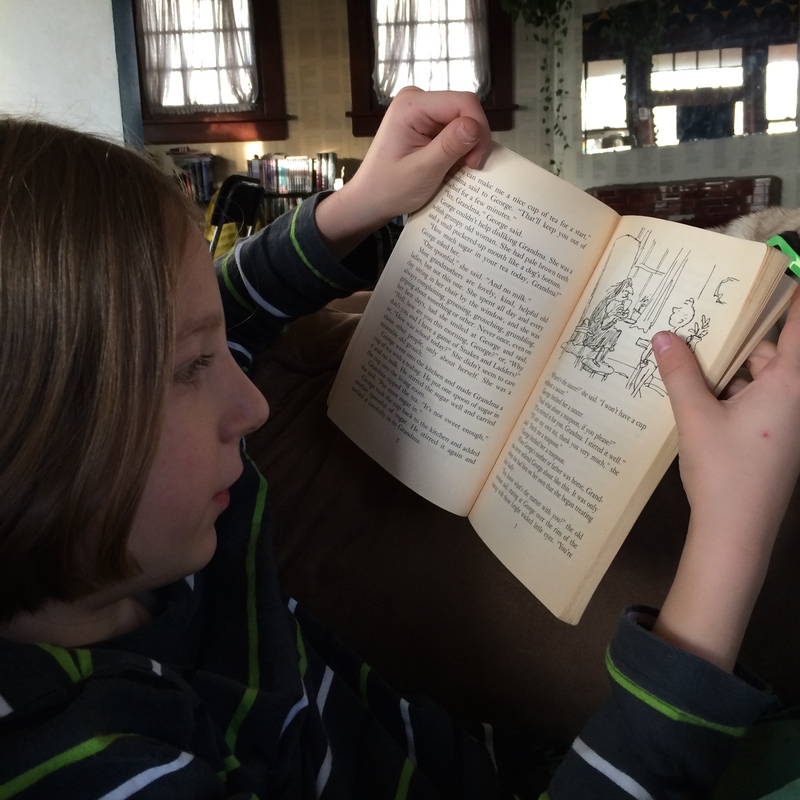 Gavin read a few pages of George’s Marvelous Medicine by Roald Dahl to us while Lilah continued to knit. 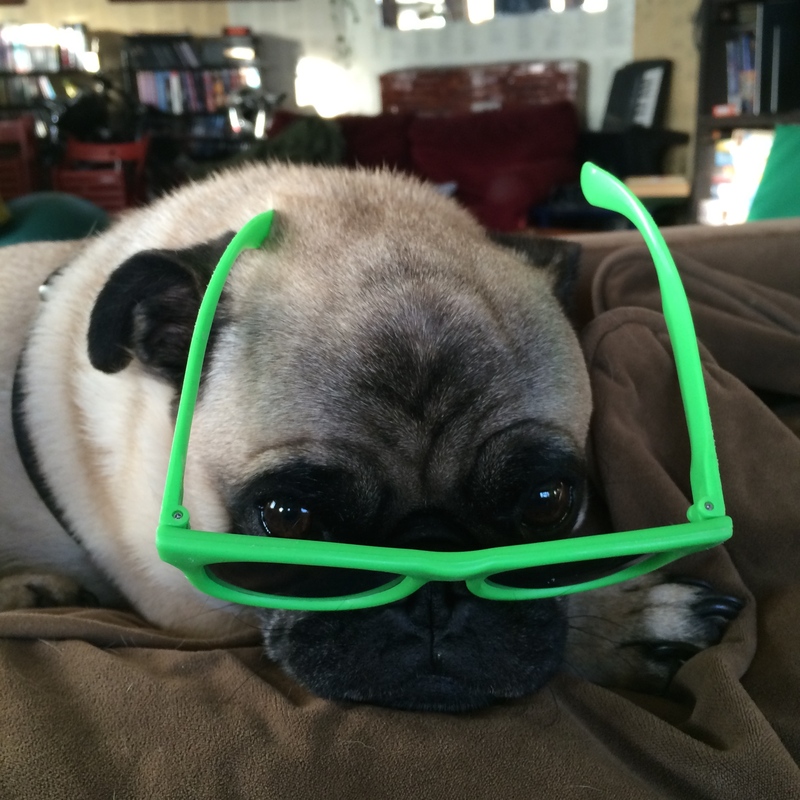 I amused the three of us by putting Lilah’s sunglasses on our pug. Then we adventured to the park to enjoy the last of the light and the kids played at the playground and hid behind trees. Our Spiral Scouts holiday party was next. We had some great time with friends capped by a game of Settlers of Catan, which Gavin is always jumping out of his skin to play with our friend who is equally obsessed.